Why is a resume important to high school students? A resume is a written repository of an individual’s educational, personal, and professional qualifications and experiences. It’s used most often for employment applications, but high school students often use them in the college admissions process. If you know a student who needs to create a resume, encourage the use of MEFA Pathway, our free college and career planning portal. It’s intuitive and easy! Students can start to create their own personalized resume in MEFA Pathway by adding sports, clubs, honors and awards, skills and strengths, employment, and community service to their Profile. As they progress through high school, they can add information to keep their Profile updated. 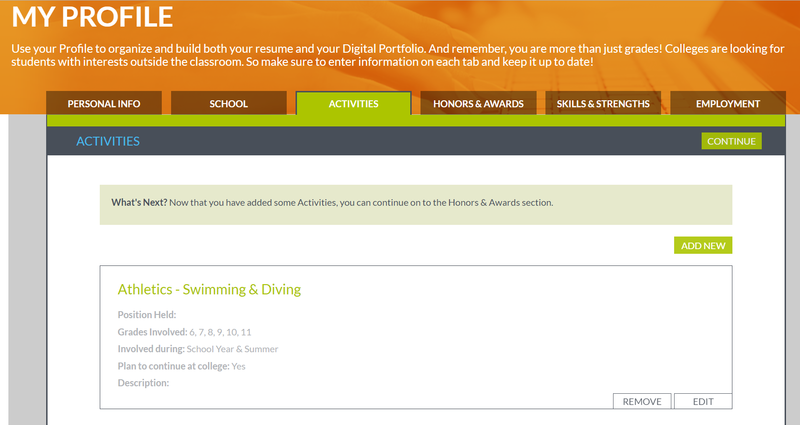 Once students are ready to create a resume, they can navigate to the Resume Builder tab. All saved information from their Profile will be imported into this page. Students need to simply check off the information they would like to include in a particular resume, add an objective statement, and click Save. Students can create and save as many resume versions as they would like. 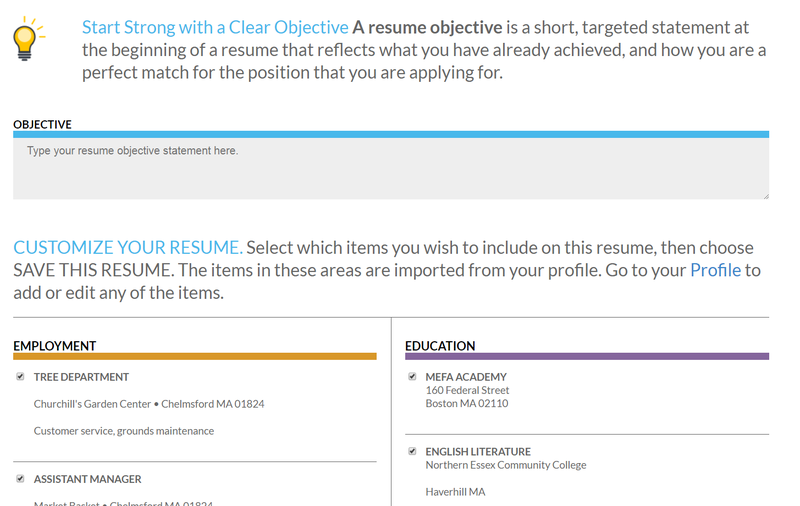 When students need a resume, they can click the button to view a list of their saved resumes, select one, choose a classic or modern resume style, and download the resume as a PDF or Word Document. Easy as that! Students should keep the information in their Profile up to date so that when a resume is needed for a job interview or college application, they don’t have to scramble to recall all of the great things they have accomplished in their high school years. To learn more about what MEFA Pathway has to offer, watch our How It Works video. Students can easily create an account and instantly gain access to valuable information and tools useful for college and career planning. Registration is easy. Students simply need to go to mefapathway.org and click Register Here to get on their way to setting the groundwork to a college and career pathway.